Helpful resources, encouraging artists to thrive! In 1999, Hilary Key, a graduate of the School of the Art Institute of Chicago, learned to effectively teach classical, fine art drawing and painting skills to children in the Los Angeles area using world-class curriculum and methodology developed by Ed and Sher Warren. She approached the Warrens about partnering to form a new studio, bringing these teaching techniques to Orange County, and Art Steps was born. 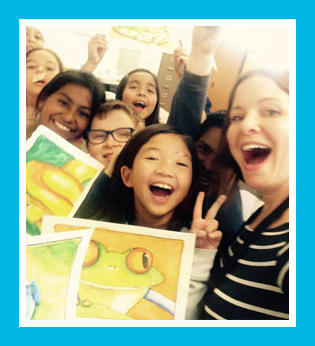 Our Yorba Linda studio grew steadily, quickly becoming a beloved art-making hub for North Orange County. While growing her family, Hilary opened a second studio in Mission Viejo in 2006 (which moved to a larger studio in Laguna Hills in 2018!). Our philosophy has always been quality over quantity, so while she dreamed of opening other Orange County studios, our entire team remained hard at work for years, ensuring that we were the best we could be prior to further expansion. Before Art Steps opened an oft-requested third location, there was one more task to accomplish: In 2015, Hilary's dream of forming a non-profit organization became a reality. 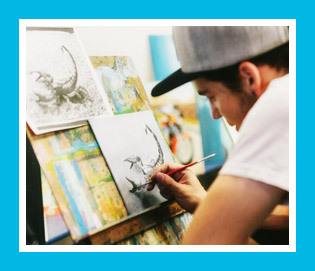 Bright Artists, our sister non-profit, began bringing high-quality drawing and painting skills to schools, serving children who, for financial or circumstantial reasons, would normally never be able to attend art classes at a studio. In 2016, the Warrens, whose curriculum is in use by over 4000 students per week, were honored by Disney with the Motif award, the nation’s highest, most prestigious honor for youth advocacy. With two thriving studios, a beautiful non-profit program, and an amazing legacy to follow, we have now opened our newest Art Steps location in Costa Mesa, serving Newport Beach, Huntington Beach, Fountain Valley, Irvine, and beyond! We are so proud of each and every one of our talented students, and we can't wait to see what they accomplish this year!